The Andrea Bocelli Foundation works in partnership with the Fondation St. Luc in educational and economical development projects, adopting the most remote and poor communities of the Haitian island. ABF’s goal is to provide long term support to the Haitian leadership and to raise worldwide attention on the great needs of Haiti. The common aim of these goals is to empower people and communities, giving them the opportunity to express their full potential. The Andrea Bocelli Foundation has been on the ground in Haiti since 2012. In just one year the Foundation started the “Wheat Project,” incorporating 1,100 children and their families into the street school program of the Fondation Saint Luc. In addition to the educational programs, this partner organization was able to guarantee at least one hot meal per child a day, along with nutritional guidance for entire families. Since early 2014, in spite of the growing number of children enrolled, ABF and Fondation St Luc have converted 3 street schools into permanent and functional structures with EDU Project. In addition to serving as suitable classrooms, these structures are taking on a second life as secure community centers. In 2015 ABF-St Luc started with 3.COM Project. 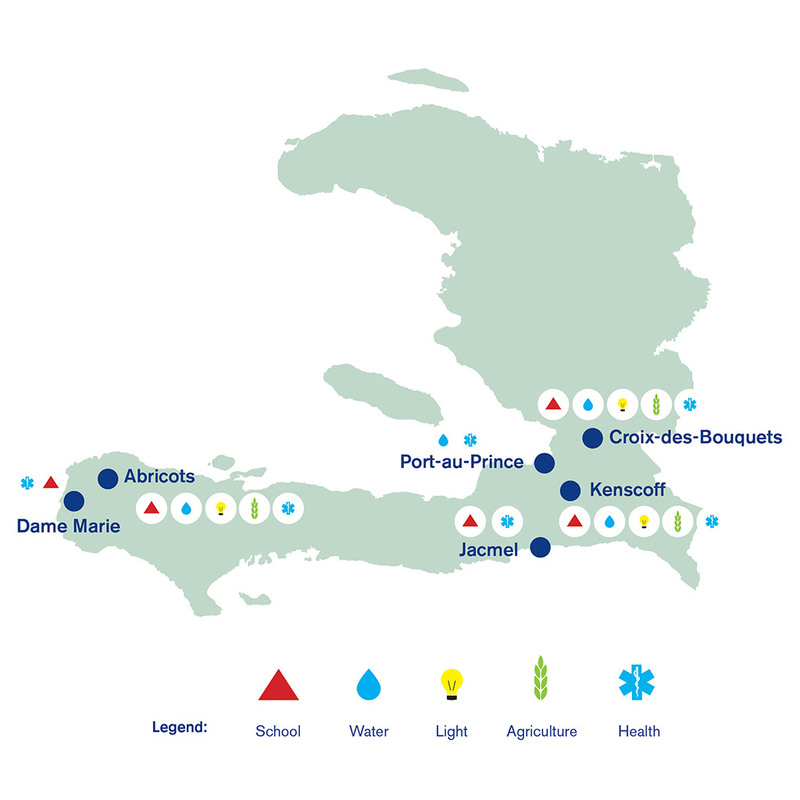 The project focuses on developing the 3 communities of Croix-the-Bouquets, Kenscoff and Abricot through simple actions: the distribution of solar lamps, providing agriculture training and activities, and building on water wells and towers. Other projects include the ABF water truck ensuring the regular delivery of potable water in the slums of Citè Soleil. In January 2016 ABF-St Luc inaugurated the “Voices of Haiti Project” with the aim to introduce art and music, particularly, in the academic school programs. ABF also launched the new “Mobile Clinic Project” to bring medical and health care to the most remote Haitian Communities where the access to clinics or ambulatories is difficult.